This entry was posted in Adhesives, Announcement and tagged Favecrafts, Giveaway, Scrapbook and Cards Today Magazine. Bookmark the permalink. 2 Responses to "National Craft Month Giveaways!" Happy 13th birthday !!!!! 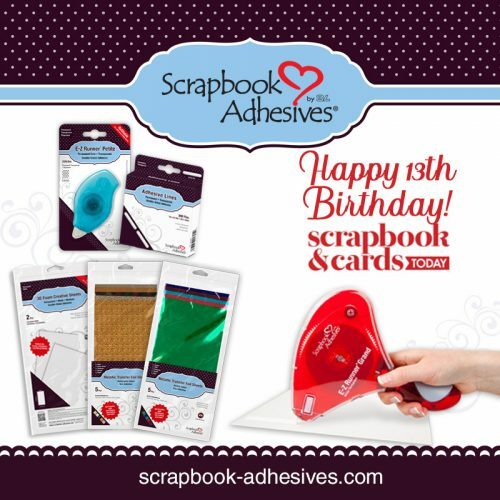 Awesome prize and great adhesive for all my scrapbooking!